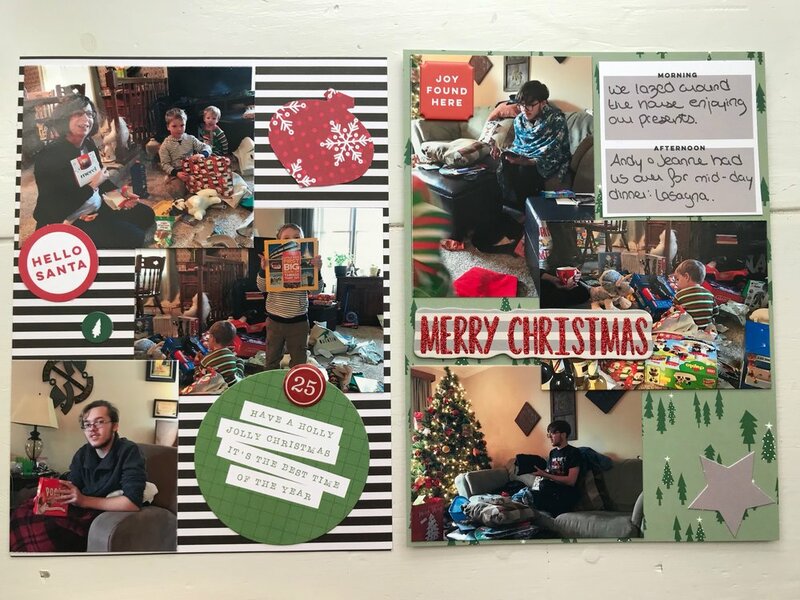 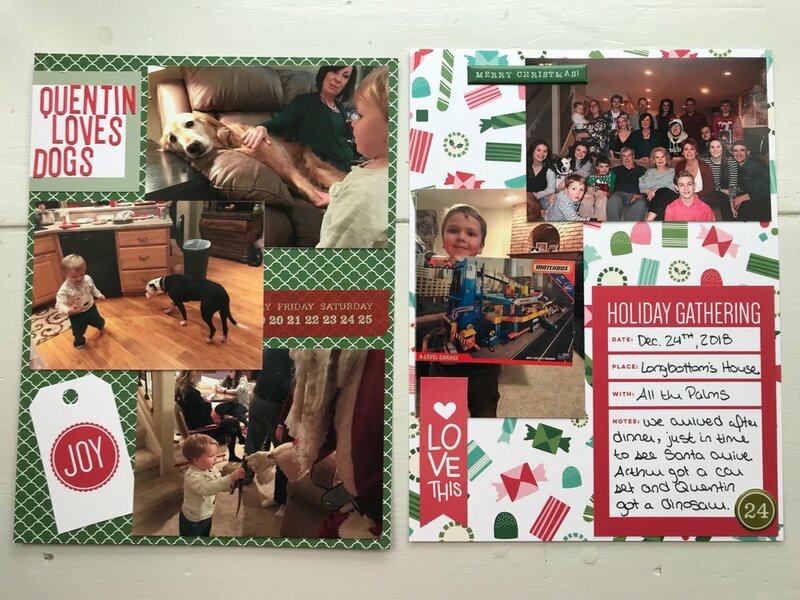 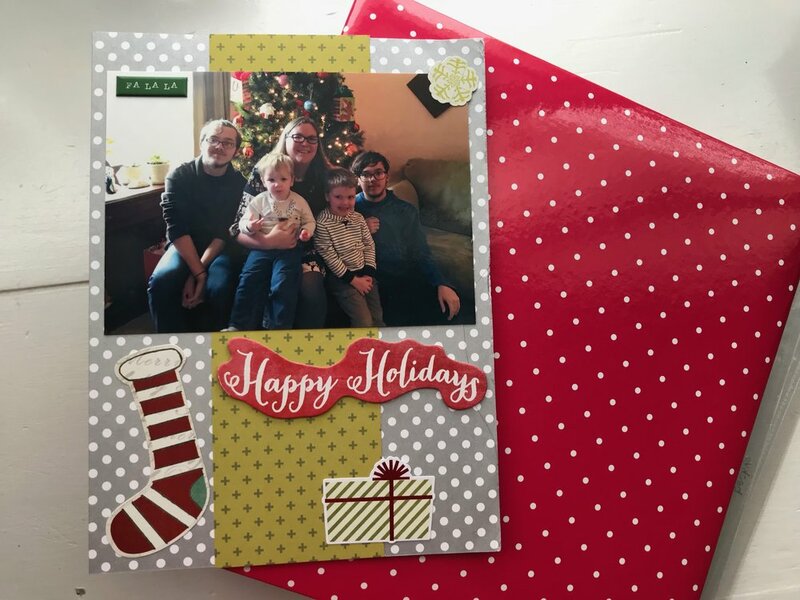 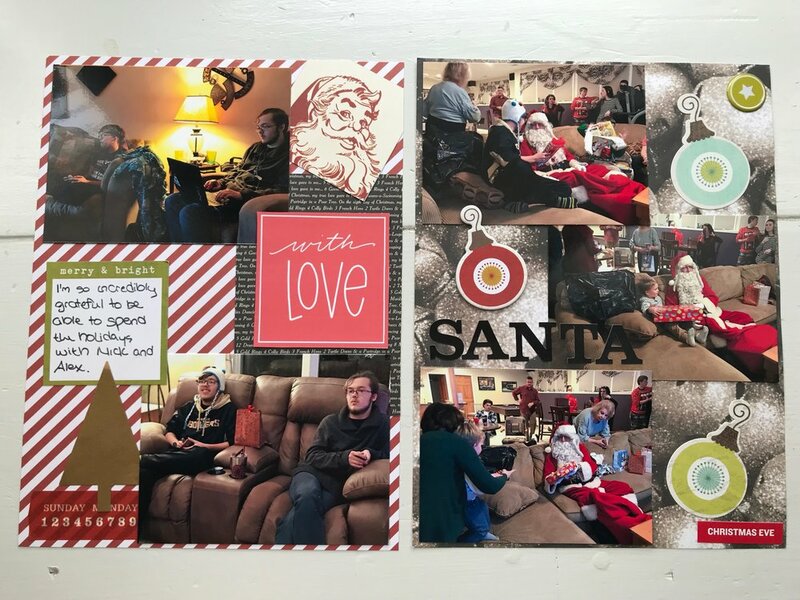 For this year’s December Daily, I moved out of the family Project Life album and put the pages into their own 6”x8” red polka dot album. 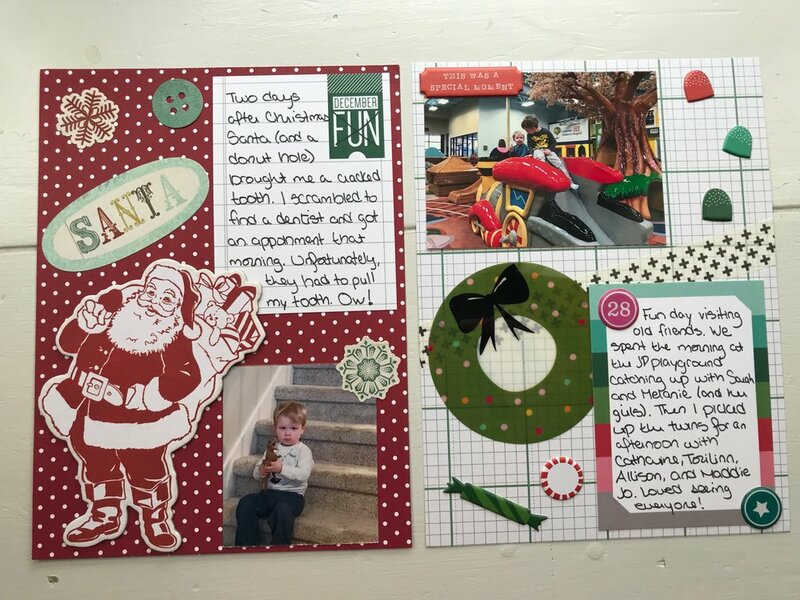 I loved the freedom of traditional scrapbooking as opposed to pocket pages. 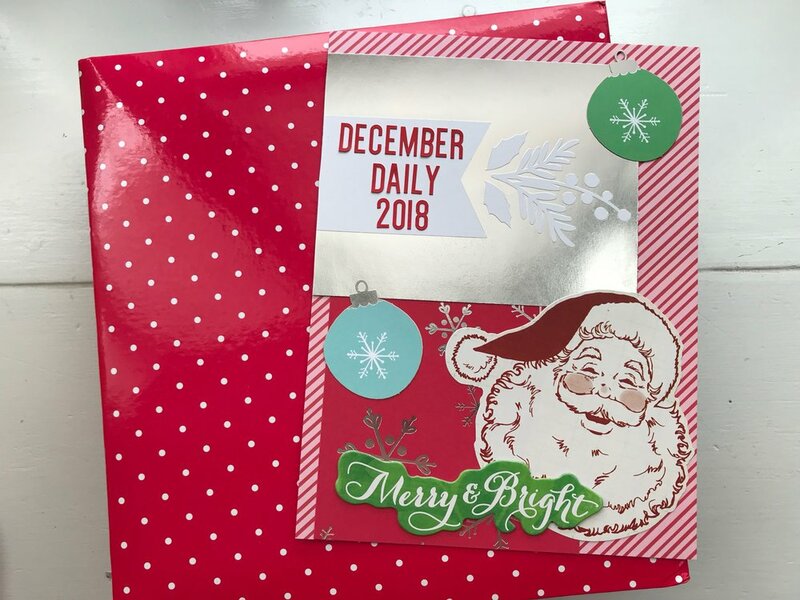 I loved pulling random items from my stash to use. 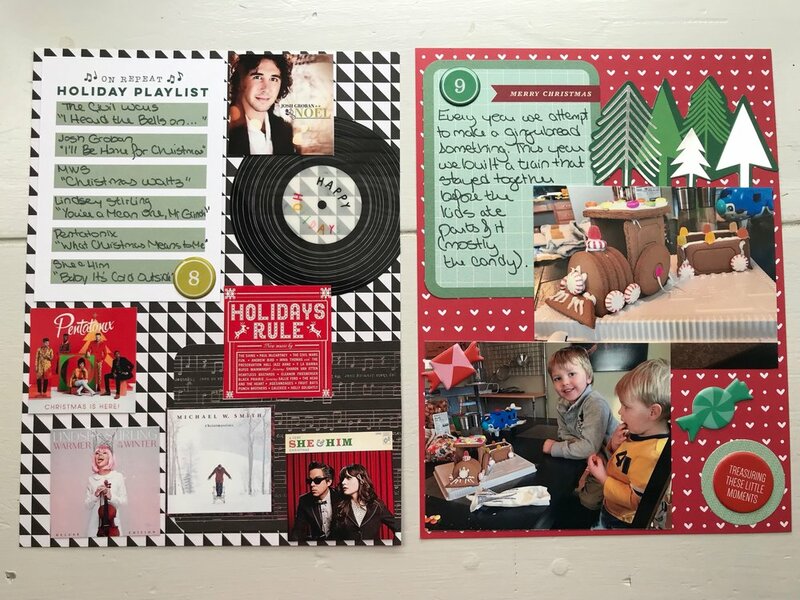 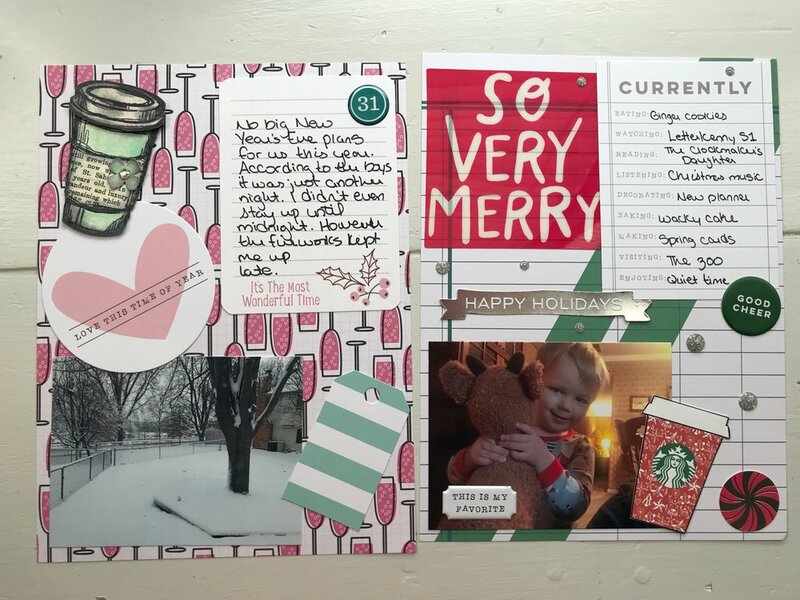 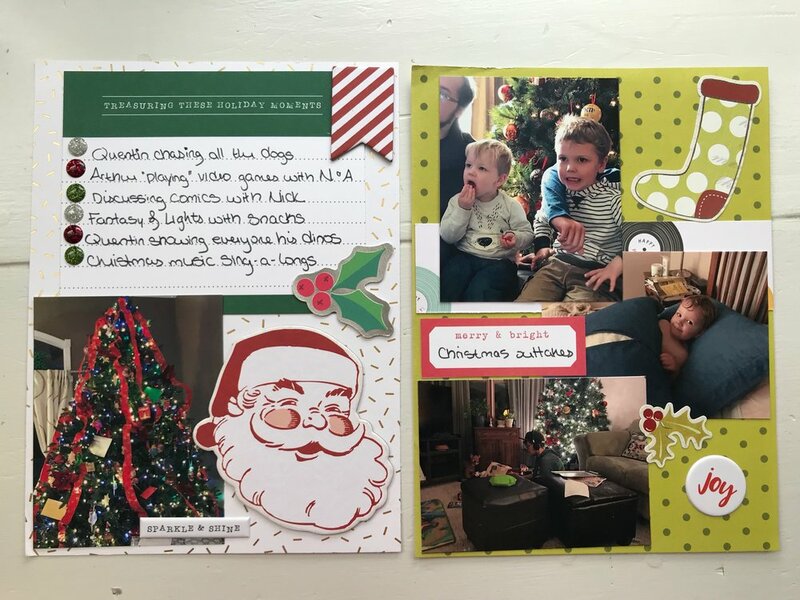 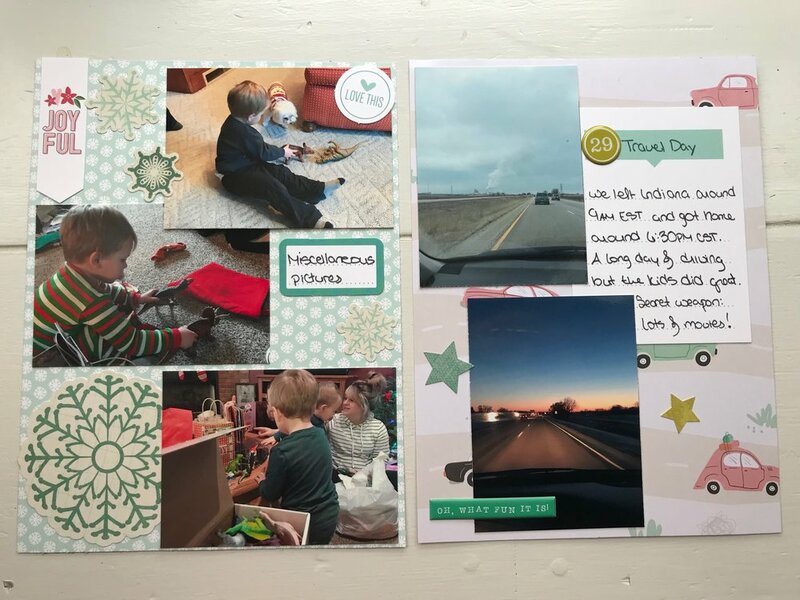 I did buy the Elle’s Studios December Documented Kit, a past Kelly Purkey December Daily Mini Kit from Ali Edwards, and some stickers and die cuts.